BRYAN EATON/Staff photo. 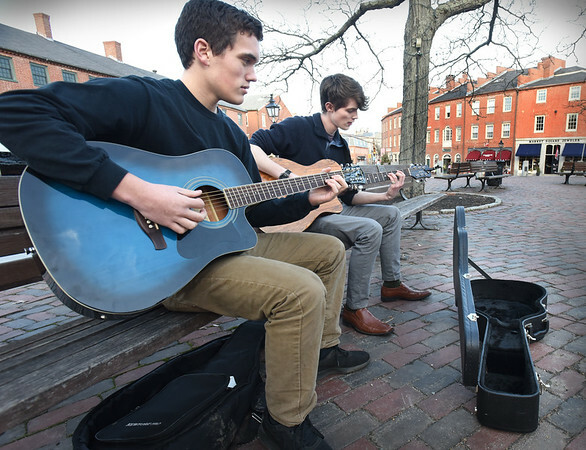 Dylan Merrill, left, and Jack Frithsen, both of Rowley, play their guitars for tips on their first foray performing in Newburyport's Market Square on Wednesday afternoon. The two, who favor rock music, are hoping to start a band as soon as they find a suitable bass player.